An endowed gift lasts forever. It’s carefully invested – but never spent – and the investment returns power change in the community for generations. Endowments enable donors and nonprofit organizations to create a stable source of funding and invest in the future. A great example of an endowed fund at John Randolph Foundation is the Trudy Bogese Endowment for Youth Development, which awards summer camp scholarships to kids. The children of today, their children, and their grandchildren will have the opportunity go to camp because of this fund. A donor or nonprofit organization makes a gift to the Foundation for a specific purpose. The endowed gift, also called the principal, is carefully invested but never spent. (The Colony Group manages JRF’s investments with oversight by our Investment Advisory Committee, comprised of volunteer Trustees and advisors.) Then, the Foundation gives away a portion of the fund’s investment returns annually through grants, scholarships, or awards, depending on the fund’s purpose. 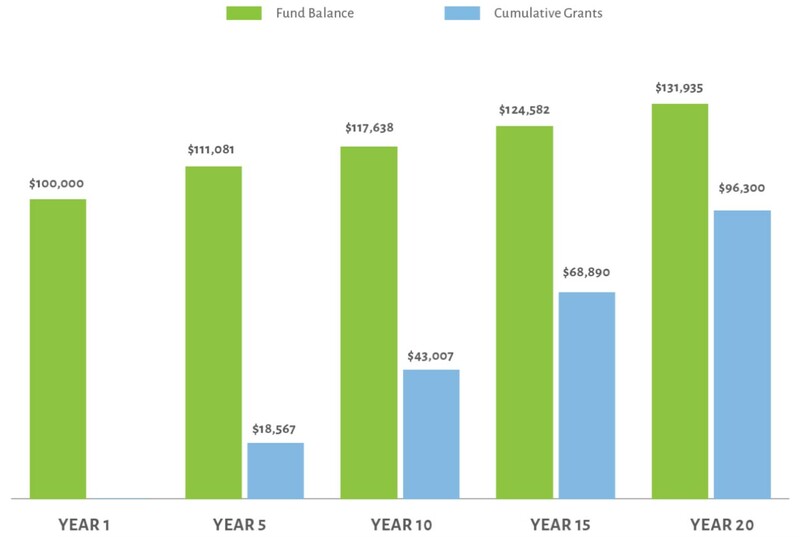 As you can see in the graph below, an endowed fund of $100,000 could give away $96,300 to the community over 20 years while growing the endowment to $131,935. As the endowment grows, so does your impact on the community. Now that’s pretty powerful! Note: These figures are based on a 6.1% investment return which has been the JRF average for the past 20 years. John Randolph Foundation honors the charitable intentions of donors, consistent with community needs, in accordance with all applicable laws and regulations. Please visit our Donor Resources page for sample documents, policies, and more. 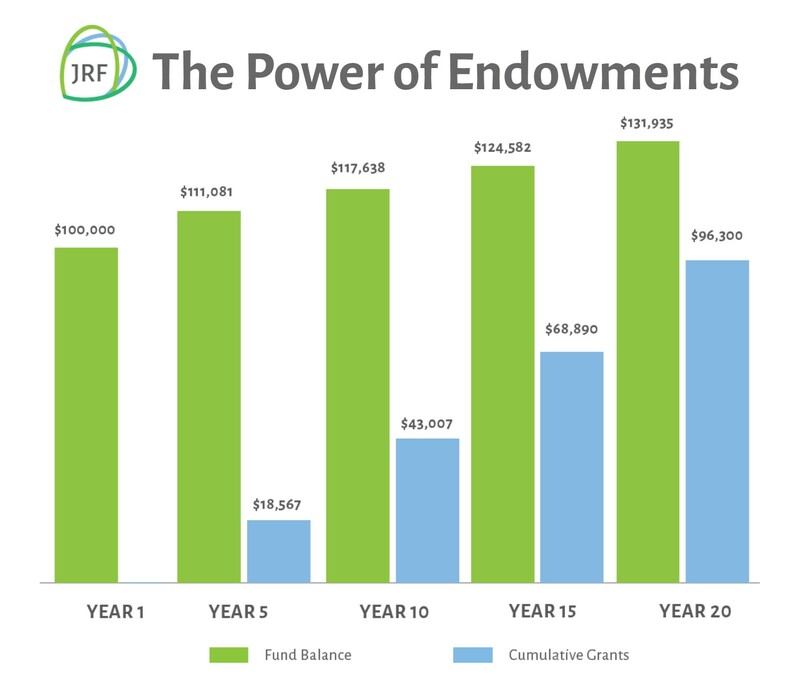 If you are interested in learning more about endowments at John Randolph Foundation, please contact Kiffy Werkheiser, Development Program Officer, at 804.458.2239 [email protected]. If you would like to create an endowed scholarship, please contact Bonnie Falls, Scholarship Program Officer, at 804.458.2239 [email protected].